You want student discounts but you don’t want to spend hours scouring the web for the best deals. Let me present you: student discount cards. I am not a believer in spending hours searching for discounts, only buying stuff on sale or clipping coupons. So instead I put in a system where I can take advantage of as many discounts as possible with minimal effort. Check out what I mean here in this post on student discounts. The great thing about discount cards is you just need to have them in your pocket and be willing to ask ‘do you do student discounts?‘. And then bam, you just saved money 😱. The NUS Extra card- now called TOTUM – costs £12 per year and offers an estimated crazy £500/year worth of discounts. Wow. They offer up to 40% at Pizza Express, 25% off at the Odeon cinema, 40% off at Las Iguanas, and 42,000 international discounts. Pretty snazzy. Oh and the TOTUM card now also comes with a free year with the ISIC card (International Student Identity Card) which means you get thousands more international discounts. A pretty big win. This ISIC card offers exclusive discounts on worldwide flights including STA Travel. It’s recognised by universities, student organisations, national governments, etc. It’s even endorsed by UNESCO and the European Council. Yep, this card can get you places. So yeah, with a one-off NUS card you can get a ton of student discounts PLUS a free year of ISIC. A no-brainer. Ok this one isn’t quite a card – it’s an app. But that’s even cooler because you have way more options and it’s easier to manage from your phone. Once again, they have discounts for pretty much everything. In this case you show your profile on the app when you check out and you can receive a 10%-50% discount depending on the shop. So yes, as you can imagine, this is the ‘card’ I show every shopkeeper. An innocent ‘Do you do UNiDAYs discount here’ and if it’s a yes then I just need to show them the phone. I use this card mostly for clothes shopping. I already shop at not-too-expensive retailers so it’s always a surprise when they offer discounts as well (New Look 😍). But as you can see UNiDAYS offers really good discounts on more high end products – which can be great if you’re looking to save money without sacrificing quality. This one has truly been full of great surprises – from getting discounts abroad to giving me access to some great libraries. Your basic university student card will normally get you discounts in some bars, bank account benefits and even abroad. 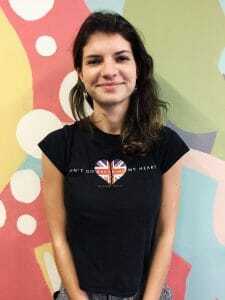 I’ve taken it wherever I go, whether I was backpacking through South America or in some random country in Europe – like the ISIC, it’s given me a lot of great discounts in places that have never heard of ISIC. So really, whenever you go travelling or even just out, grab your student card and you’ll have some nice surprises. The other huge benefit of having a student card is opening a student bank account. This could be a free £80 gift card, 1 year of Amazon Prime or an overdraft for emergencies. You get those when you sign up and you can get even more benefits once you graduate. As the name suggests, this card is really great for frequent travellers. 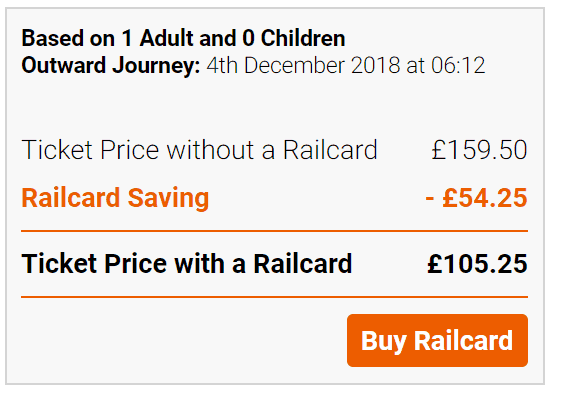 It costs £30 and gives you 1/3 off all national rail fares. If you’re a frequent train traveller, this card is for you. So there you go, 4 discount cards that will help you along with student life. Cards are great because they give you a lot of flexibility and can give you unexpected discounts. In order to maximise use with minimal effort, I simply always have my normal student university card on me, I’ve always got UNiDAYS on my phone and I sometimes take the NUS card if I’m travelling or eating out. It’s up to you to put in a system where you take advantage of as many discounts as possible with just a few cards!